OK I know – I probably couldn’t write a more obvious headline. But I think I assumed that the creation of the Truth and Reconciliation Commission of Canada, in 2008, signalled an achievement in the relationship between indigenous and non-indigenous Canadians, and that the relationship would naturally continue to improve. I admit now that I was wrong. What I often hear from my fellow non-indigenous Canadians is ‘I’m not too blame. I take responsibility for my own actions, not for those of my ancestors’. I understand this stance, but I think it misses the point. What I see when I look at the residential schools tragedy is tens of thousands of my fellow Canadians scarred in ways that I will never fully comprehend. And a need for all of us in this country, collectively, to work our way through this terribly unique tragedy. Otherwise, we will all continue to be less than what we might otherwise be. 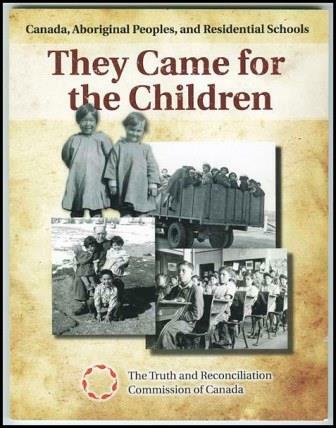 This entry was posted in Aboriginal, Canada, Indigenous Peoples, truth and reconciliation and tagged residential schools, Truth and Reconciliation Commission of Canada by martylogan. Bookmark the permalink.